Chimichurri White Bean Dip - Ready in 10 minutes & it's gluten-free! I’ve noticed a ton of recipes lately for chimichurri and others that have it as an ingredient. So today we’ll let you know exactly what is (if you’re wondering) and we’ll use it to make a chimichurri white bean dip. Chimichurri is sauce popular in Argentina and South America and is a similar idea to pesto. The main herb in chimichurri, however, is not basil, it’s parsley. The other big difference is that there is no cheese or pine nuts, so it is vegan and gluten free. I have seen many debates about whether chimichurri should contain other herbs like cilantro and oregano (which we are using in this white bean dip recipe). I’m guessing it’s similar to the debate about pesto being something other than the traditional basil. Either way, it’s delicious. This spring, we have tons of oregano, parley, and cilantro in the garden. I love that our oregano and parsley basically last all winter, and since I let the cilantro and parsley flower and seed in the fall, tons of new plants of both herbs started growing as soon as the weather warmed up this spring. We have been using the oregano in our zesty quinoa greek salad and the cilantro in our cilantro quinoa burrito bowls. I really enjoy having fresh herbs in the garden. We can find many of our favorite veggies at the farmer’s market or local produce stands, but herbs are hard to find. Although some of our favorite herbs last through the winter in the garden, I need to try and remember to test out some of these indoor and kitchen herb garden ideas for winter. 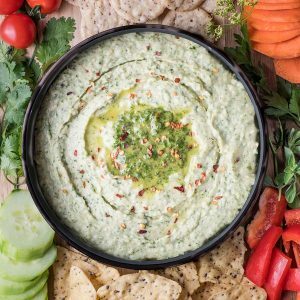 We originally started making our white bean dip with just parsley in it, but now that we have all three herbs in abundance, I think this chimichurri white bean dip has taken over as my favorite. Plus, we the addition of red pepper flakes, there is a little bit of heat added (feel free to add more or less depending on your preference for spiciness). The cilantro has begun to flower and before oregano starts to flower, I will probably try to make a large batch of this without the beans and freeze to use once it really heats up. I’ve read that oregano isn’t as flavorful once it blooms, and cilantro does not like the heat of summers in Maryland. Then later in the year, we can thaw some and enjoy spring herbs all year! We also like to stock our freezer with our pesto made with basil and toasted walnuts. 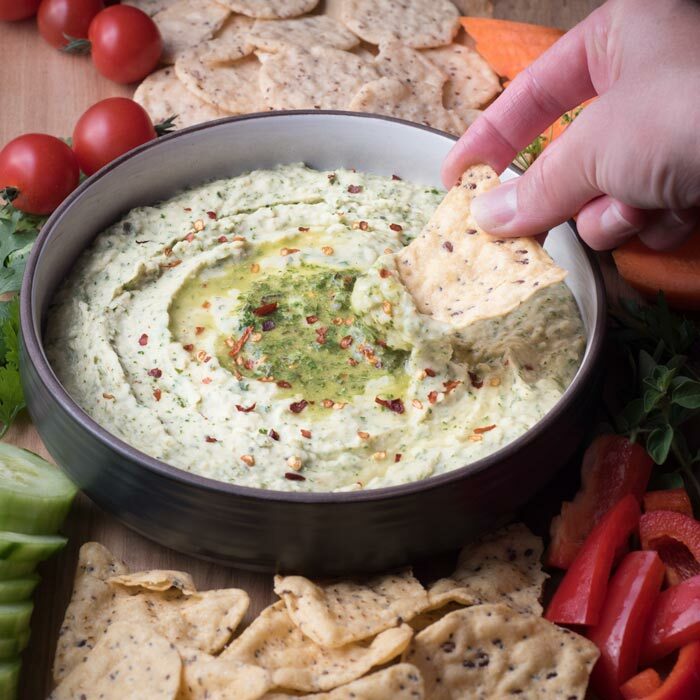 Serve this chimichurri white bean dip with your favorite chips or crackers. Depending on the crowd we are serving, we tend to buy gluten free or vegan crackers. 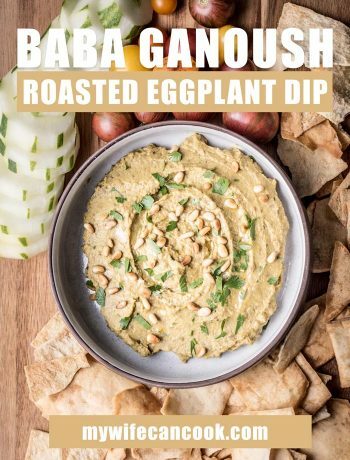 However, recently we found some amazing naan chips that were perfect with this dip (but they weren’t vegan). But it is also amazing with veggies if you are trying to skip the carbs! 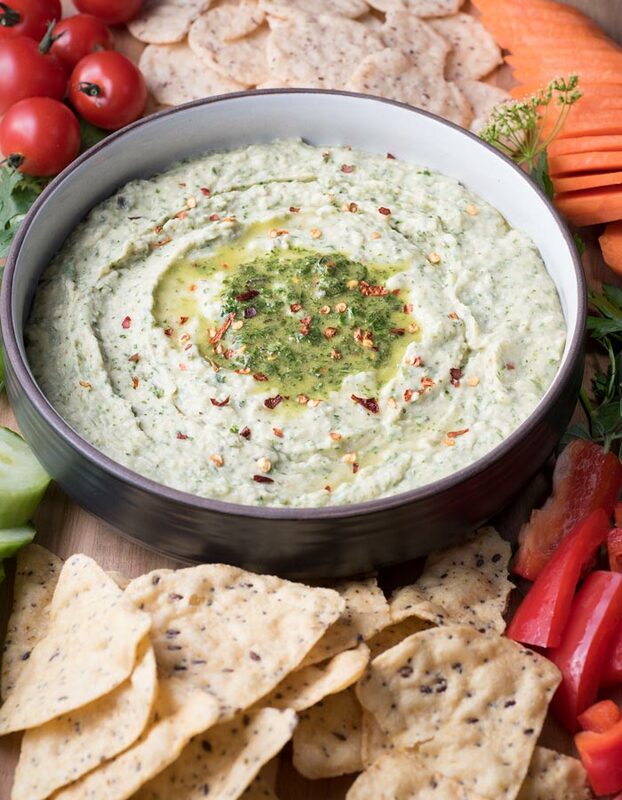 We made our favorite white bean dip, but instead of parsley, we added all the ingredients from chimichurri--parsley, cilantro, oregano, red wine vinegar, and red pepper flakes. Add all ingredients except oil to food processor and pulse until combined. Add olive oil while food processor is running until well combined. I LOVE chimichurri sauce…..especially on a nice grilled steak. This dip sounds wonderful. What a nice change of pace from hummus. Beans are a great ingredient to work with. 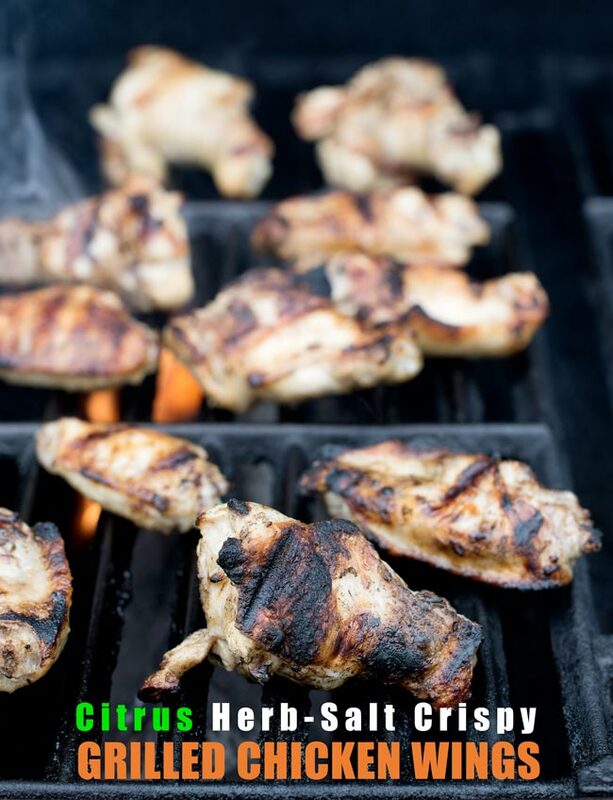 This is perfect for the BBQ parties….soon I hope!! Yum, it would be good on steak! Soon, I hope, too! So I love Chimichurri, and I love white bean dip, so I see no issues at all in this! What a great idea, and I can just imagine this with so many tasty things to dip in it! Can’t wait to try this out! I love chimichurri! It’s so fresh and bright and perfect. 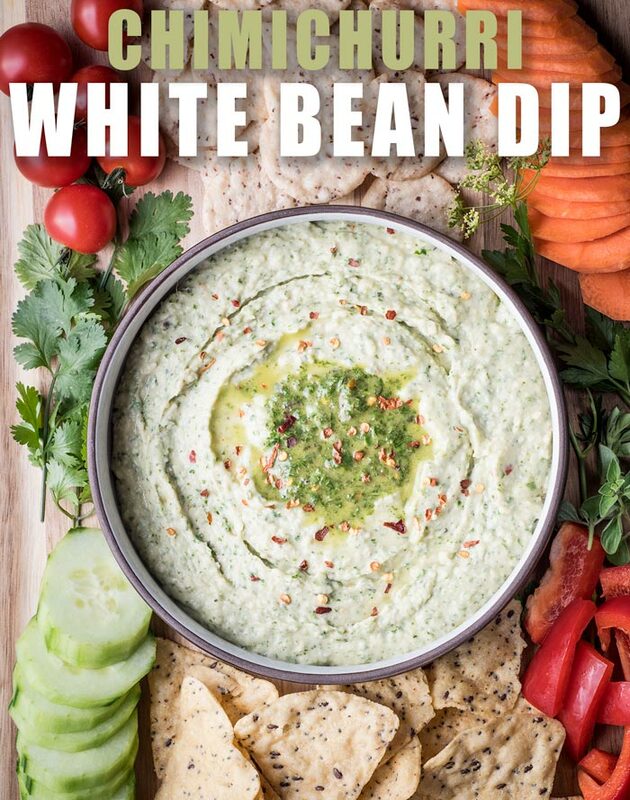 I love the idea of making it into a dip with white beans. I am always looking for new and exciting – healthy, nutritious and protein filled dip options. This will be especially good for my little vegetarian (my 7 years old)! I hope your 7 yo likes it! That’s brilliant, really! Chimichurri is amazing and I like to use white beans pureed to trick my husband into eating something healthy. I’m saving this for later this week. Thanks! I’m trying to trick my kids into eating it! Chimichurri sauce has magic powers, I swear. It’s so fantastic with all those fresh flavors. I can’t wait to try this bean dip with it because it sounds wonderful! Thanks! I think it has magic powers as well. I loe absolutely everything about this dip – it looks so creamy and flavourful! I love cilantro so it’s totally up my alley. Husband doesn’t eat cilantro, so I think I’d have to make half with just parsley. Oh, and that first photo of this post is absolutely beautiful! Just mouthwatering! We make white bean dip with just parsley and it is really good also! I need to try chimichurri– I love ALL THE INGREDIENTS! This bean dip sounds so good- and I can’t wait for my spring herbs! I tried it for the first time last year. So good! Now that’s a gorgeous party dip! What a great idea to pair chimichurri with white bean dip–the herbs must bring such a great freshness to the cannelini beans! Will definitely be saving this for al fresco entertaining this summer! Thanks! 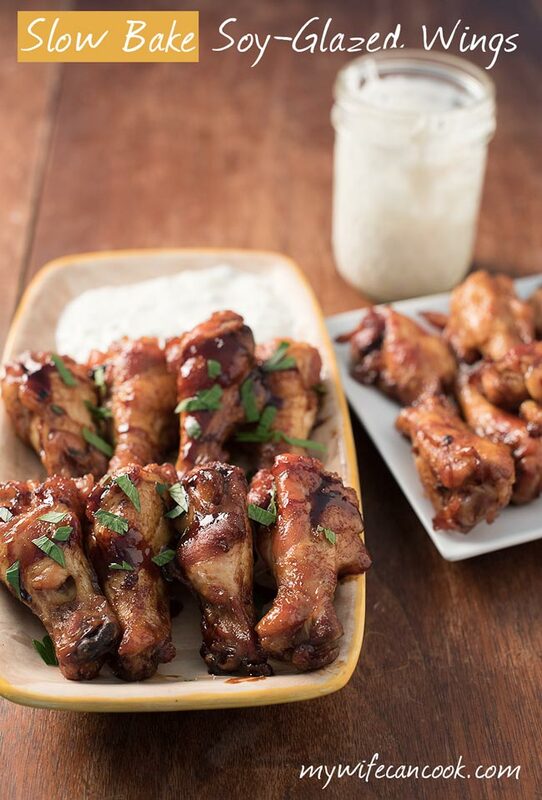 It’s perfect for summer entertaining! Chimichurri is the best!! And I adore the idea of making it into a dip! 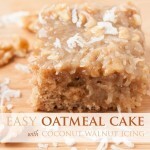 Sounds so delicious, I need to make it soon! It is really good on/with so many things! What a phenomenal dip! I need a whole bag of chips to eat this with! Looks delicious! Can this be made a day ahead? Looks delicious! 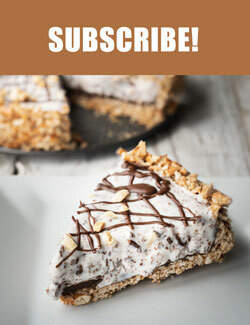 Can this be made ahead of time? Yes, I usually make it a day before serving so that it can be served cold. Plus, I think the flavor is better once it has at least a day to sit. It doesn’t last longer than 2-3 days in my house.